The Americans with Disabilities Act Accessibility Guidelines have undergone almost four years of revision to technical and scoping requirements to achieve consistency with other model building codes. 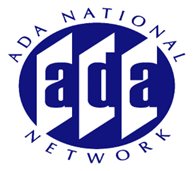 The revised ADAAG is expected to be released as a Notice of Proposed Rulemaking for public comment in early 2000. This session will identify the differences between the current ADAAG and the proposed rule in order to give design professional a foundation of information to participate in the period of public comment solicited by the U.S. Access Board.